Went by our closest “going out of business” Toys ‘R Us and can report back that there has been a slight change since the last time I went about a week ago. 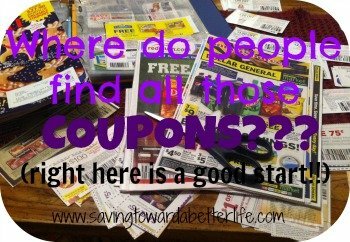 The “Up to 30% off” signs are now “Up to 40% off”. 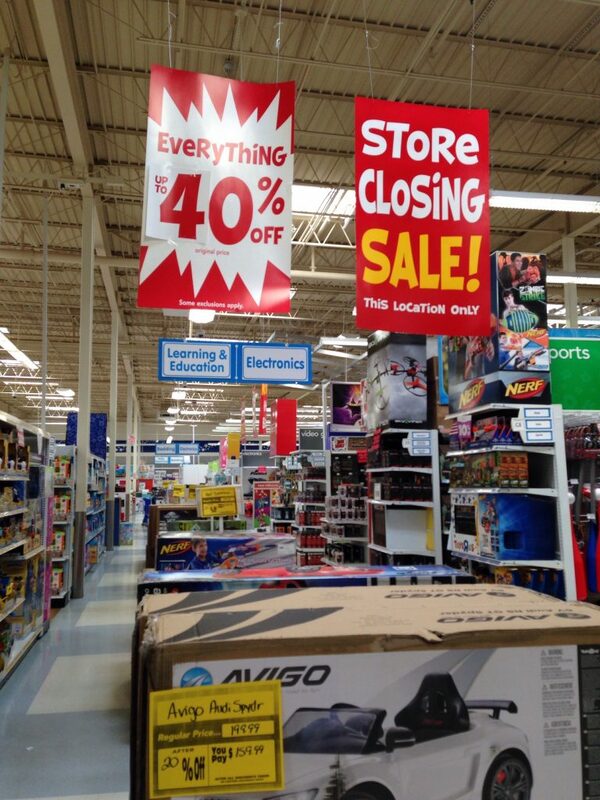 But the only things that are 40% off are items in the gift wrap, cards and party favors sections. 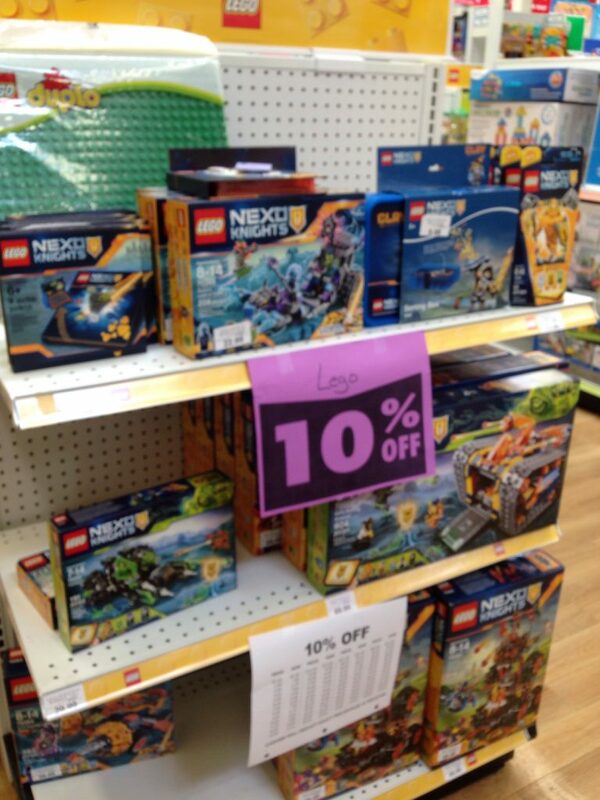 LEGO (and all other “construction” – Mega Blocks, Duplo, etc) – only discounted 10%. Given that Toys ‘R Us is usually higher than Amazon, 105% barely covers the fact that we have to pay 9% sales tax on the purchase. 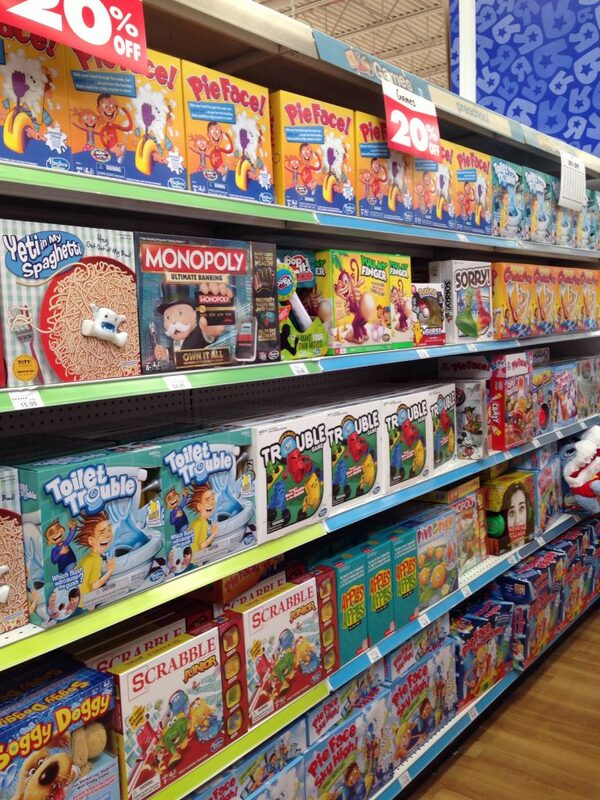 Fisher-Price and other “Preschool” Toys are discounted 20%. Imaginext toys also fell in the 20% off sale. 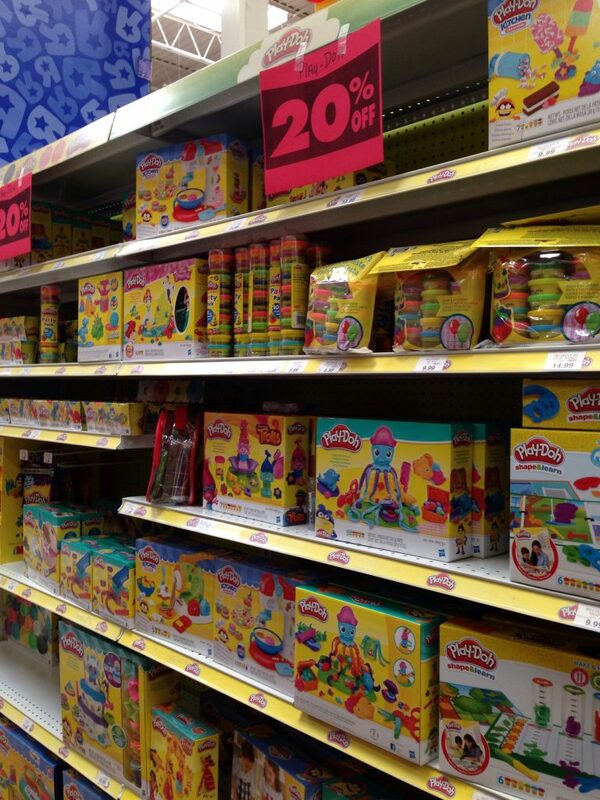 Play-Doh is also 20% off. Hot Wheels are 20% off. 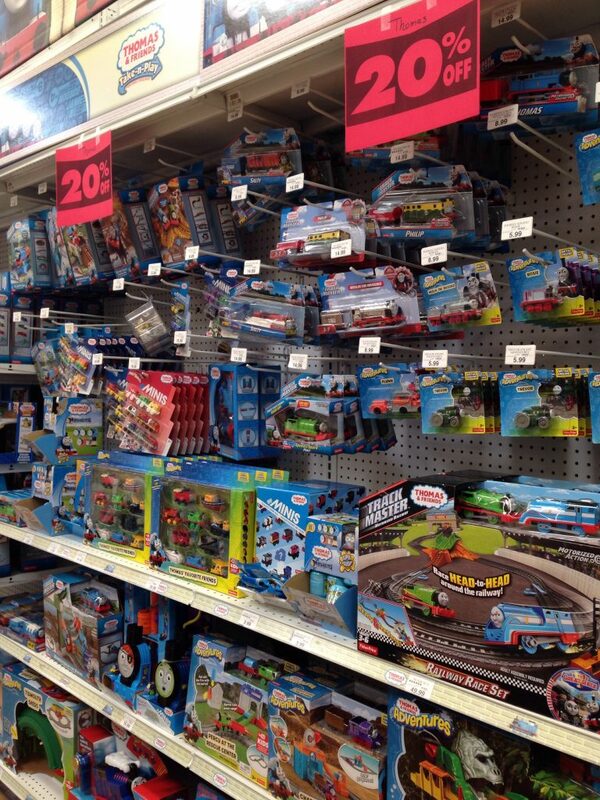 “Action Play”, like Thomas the Train and other wooden train set brands are now 20% off. Board games are 20% off too. Nerf & Marvel toys are 20% off. I saw Hatchimals for 20% off too. 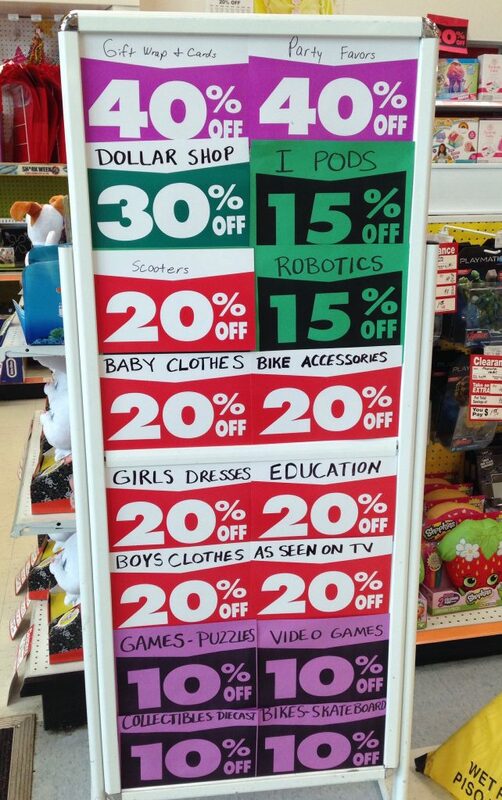 In fact, pretty much everything that’s a toy is 20% off. I did find some accessories in electronics and the entire category of “Robotics” at 15% off. But none of this is really anything to get overly excited about it. In fact, I’m not even underly excited about it.